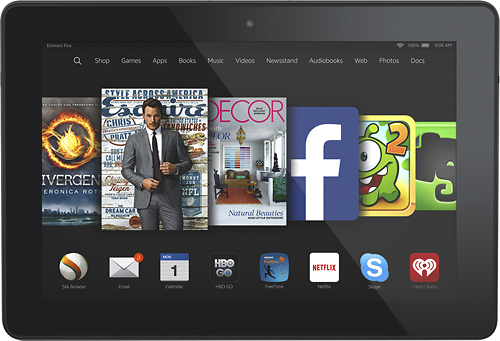 We found 3 open box, clearance, and sales items from Amazon - Open Box - Fire HDX - 8.9" - 64GB - Black. 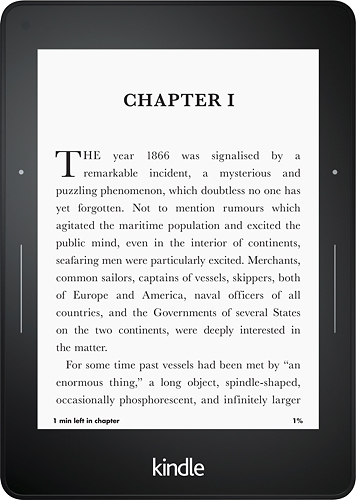 We found 4 open box, clearance, and sales items from Amazon - Open Box - Kindle Voyage - 4GB - Wi-Fi + 3G - Black. 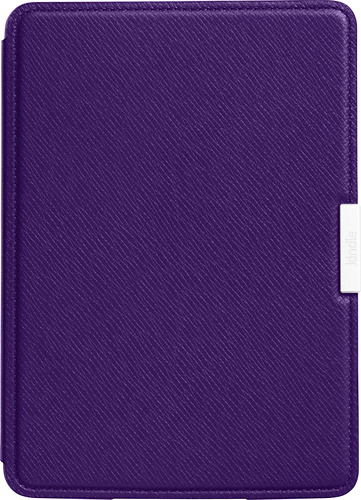 We found 257 open box, clearance, and sales items from Amazon - Open Box - Leather Case for Kindle Paperwhite - Royal Purple. We found 325 open box, clearance, and sales items from Amazon - Open Box - Leather Case for Kindle Paperwhite - Onyx Black. 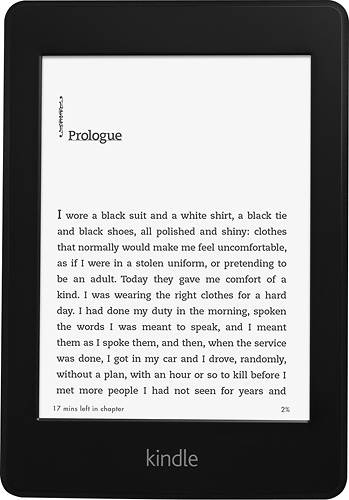 We found 8 open box, clearance, and sales items from Amazon - Open Box - Kindle Paperwhite - 2GB. 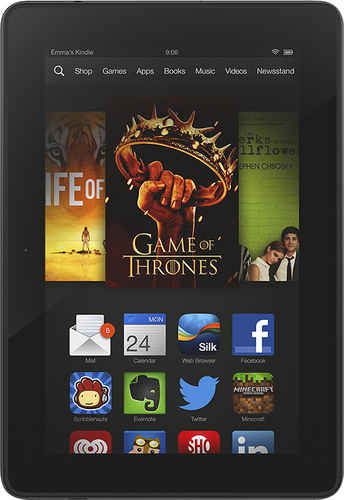 We found 2 open box, clearance, and sales items from Amazon - Open Box - Kindle Fire HDX - 8.9" - 32GB - Black. We found 3 open box, clearance, and sales items from Amazon - Open Box - Case for Kindle Fire HD 8.9" - Royal Purple. 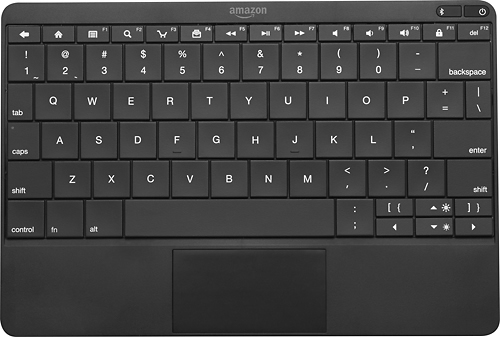 We found 294 open box, clearance, and sales items from Amazon - Open Box - Fire Wireless Keyboard for Fire HDX 8.9 Tablets - Black. 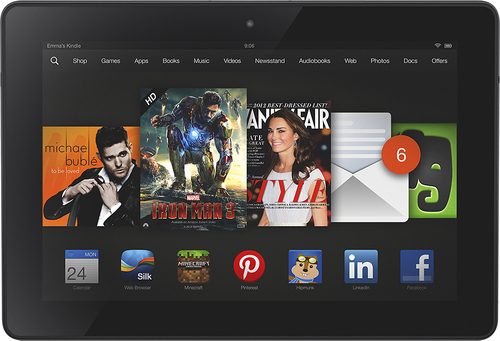 We found 1 open box, clearance, and sales items from Amazon - Open Box - Kindle Fire HDX - 7" - 16GB - Black. We found 151 open box, clearance, and sales items from Amazon - Open Box - Kindle Paperwhite High Resolution- 6" - 4GB - Black.